For current and future SAP / TOTVS / QAD application deployments and migrations using customized Roadmaps methodologies, fine-tuning the deployment strategy with the strategic plan, establishing system configuration, and helping to plan the technological future of our customers. COACH IT employs the use of market design methodologies such as Activate and ASAP, based on the PMI - Project Management Institute, since 2002 we have carried out the management with quality indicators and demonstration of the project life cycle. As well as corrective, preventive and improvements, we cover all aspects, evolution and needs of the maintenance and management of SAP / TOTVS / QAD applications. Collaboration can range from the presentation of part-time expert consultants to the outsourcing of the maintenance service. Enclosed training for companies and professionals in SAP functionalities and TOTVS. By bringing together qualified and certified consultants, we carry out enclosed training for companies that are recycling their professionals into system functionalities and / or complementing ERP implementation projects, with training activities for SAP and TOTVS consultants. Basic (To understand the basic processes and the integration of the Modules). Intermediate (Training with selected module detailed, with some exercises). Customized (Training with the module selected, the Instructor surveys the client environment and places as Programmatic Content all the difficulties and doubts of the Users (Key Users). On-site (Training on site or in COACH IT's own rooms, with on-site instructor clearing questions and passing exercises). 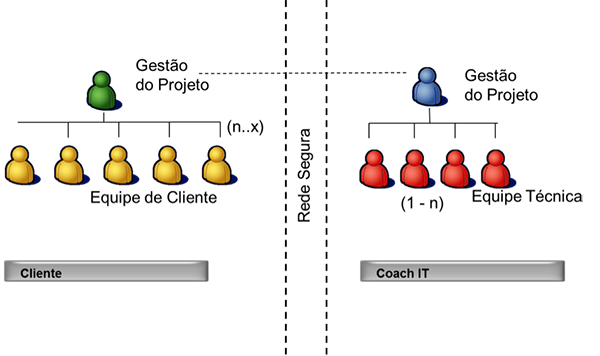 The software factory of COACH IT is structured to serve its clients in processes and methodology with professionals SAP, TOTVS, QAD, Web and Mobile. We use the best practices in the development from the survey of the need to the delivery and follow-up post go-live. The offers the possibility of prioritizing the main activity, from outsourcing outsourcing services based on the concept of "Business Process Solutions" (BPS). Our goal is to support companies in all financial support activities by outsourcing the services of accounting, payroll, financial and tax. Our consultants specialize in tax review, accounting and legal support contributing to the efficiency of our clients. Cash flow and bank controls. Outsourcing solution for companies that are starting their operations in Brazil (Startups), allowing executives to focus on the main activities of the business and thus ensuring full compliance with the local requirements required by Brazilian law. Outsourcing of financial, accounting, tax and payroll processes, through the use of a contractor's own ERP system with interface to the COACH IT ERP. Our tax compliance methodology provides companies with an efficient way to handle tax, workload and deadline compliance.